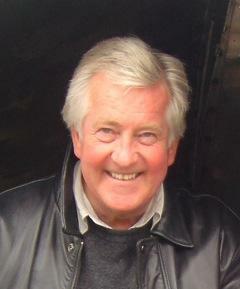 Stewart has spent most of his professional life in television. Initially trained as an academic, he was variously a teacher, soldier and copy-writer before joining the BBC, where he worked in documentary features and current affairs, including stints on Panorama and QED. He was Director of Special Projects at TWI and later Head of Production at Octagon CSI. He produced a wide range of innovative programmes from sports magazines like Trans World Sport, Futbol Mundial and Golazo to historical documentaries like Britain at War, Century and Indochine. He has won over thirty international television awards including a BAFTA, Grierson and Peabody, was elected as a Fellow of the Royal Society of Arts and is Visiting Professor at the University of Bedfordshire. 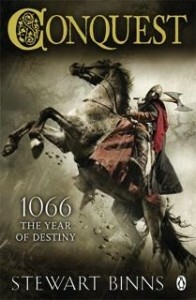 The author of several non-fiction books connected to his work in television, his first work of historical fiction, Conquest, set around the pivotal events of 1066 and the life of legendary hero Hereward of Bourne, was published by Penguin in February 2011. 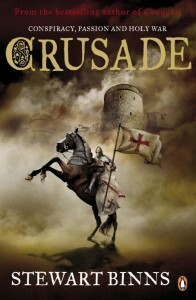 His second book, Crusade, set during the feuds between William the Conqueror’s sons and the dramas of the First Crusade, is to be released in April 2012. Stewart now lives in Somerset with his wife, Lucy and their twin boys, Charlie and Jack. Their home is also the base for Big Ape Media International, the independent media company run by Stewart and Lucy.